One Gospel One Truth: Israel Strikes it Rich Someday! Israel Strikes it Rich Someday! The bible predicted the coming of a reestablished and extremely prosperous Israel. Ezekiel 36:24 and elsewhere foretold that the Jews would be regathered from the nations of the world into their own homeland. What had begun as a trickle around the turn of the century and then accelerated in the aftermath of WWII, the return of the Jews to the land as prophesied became official on May 14, 1948. Ezekiel 36:8-12 informed that upon their return, the land of Israel would be tilled, sown, and become extremely fruitful. Ezekiel declares the historic ruins would be rebuilt and the ancient cities repopulated. In these passages, he predicts the Jews will be more prosperous than at any prior time in their history. This is a startling prediction considering the land of Israel lay mostly desolate between A.D. 70 and May, 1948 when Israel was restored as the Jewish State. Equally as impressive is that Israel’s abundance appears to proportionately exceed the national treasures King Solomon accumulated nearly 3000-years ago. According to 1 Kings 10, King Solomon was the wealthiest king on earth during his reign over Israel. 1 Chronicles 22:14-16 informs that Solomon owned a seemingly limitless supply of gold, silver, bronze, and iron. The International Standard Bible Encyclopedia says Solomon possessed “A sum greater than the national debt of Great Britain.”We are told in 2 Chronicles 9:13 that one year Solomon’s estimated income was 666-talents, which is the approximate equivalent today of $708,400,000. (i) These earnings represented a monumental amount of annual wealth at that time. 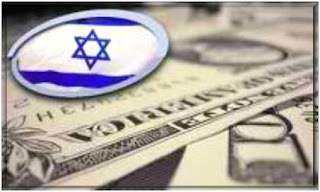 Presently, the cities are being rebuilt and repopulated, and Israel is becoming very prosperous, but have they accumulated all the riches predicted? In 2009 and 2010 Israel discovered large natural gas resources. Some eschatologistsbelieve Israelis will also someday discover crude oil underneath their fertile soil. Natural gas and crude oil could certainly become contributors toward Israel’s foretold fortunes, but what does scripture point to, possibly in addition to these resources? Ezekiel 38:1-13 informs that a major alliance will form to invade Israel to confiscate Israel’s riches. Ezekiel 38:13 specifically states this confederacy comes for Israel’s great spoil. This prophecy, commonly referred to among scholars as the Gog of Magog invasion, remains unfulfilled. Should no unforeseen circumstances prohibit, this means Israel has more time to amass an even greater fortune beforehand. 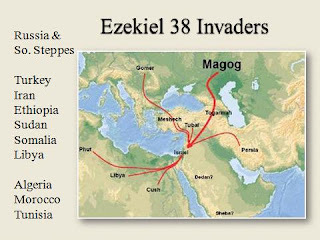 In the prior verse, Ezekiel 38:12, the prophet says the Magog invaders are coming after acquired, or gotten, cattle and goods. The Hebrew word is “asah” and suggests that Israel has acquired livestock and commercial goods externally, perhaps more so than developed them from their own natural resources and / or commercial endeavors. If the enticing great spoil spoken of is acquired, more so than homegrown, then where does it originate? Zechariah 14:14 appears to hold an important clue in this regard. Apparently Israel acquires it from the Arab nations round about them. Zechariah chapters 12 and 14 find connection in that portions of each chapter address the wars between Israel and its hostile Arab neighbors, and the subsequent conflict fought by Jesus Christ against the Antichrist and his armies during the campaign of Armageddon. These are two distinct wars that are intricately interwoven between Zechariah’s chapters 12 and 14. Zechariah 12:6 below, and 14:14 above, specifies that the I.D.F., represented as Judah, fights the Arab nations round about for possession of Jerusalem. The I.D.F. is instrumental in Israel’s fight against the Arab confederacy of Psalm 83, but does not appear to get involved in the war waged between Christ and the armies of the Antichrist. Isaiah 63:1-6 informs us that the Messiah, as the one who is mighty to save, goes into battle alone. The absence of the I.D.F. in the battle of Armageddon is reinforced by Zechariah 13:8, which points out that two-thirds of the Jewish population living in the land of Israel at the time will not survive. Zechariah’s prophecy infers the I.D.F. will flee from the armies of the Antichrist, rather than fight against them. According to bible prophecy, Israel is on route to striking it rich someday. Their blossoming portfolio appears to include Arab spoils of war. Once obtained, the Ezekiel 38 Magog invaders are enticed to coalesce in an attempt to capture Israel’s new national livelihood, which should by then include the acquired Arab resources, including oil and natural gas, plundered by Israel after their decisive victory over the Psalm 83 Arab nations round about. (iii) Dr. Fruchtenbaum's quote can be listened to in his Ezekiel audio studies, and is also believed to be located in either his original or revised "Footsteps of the Messiah" book, but is unconfirmed. In this article usage it was quoted from memory.